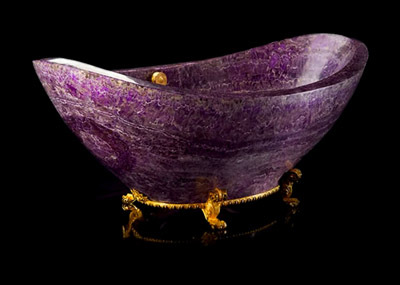 Sometimes referred to as the Artist’s Stone or the Poet’s Stone, the brilliant violet hues of the amethyst have been a source of creativity, spiritual protection, and luxury for centuries. 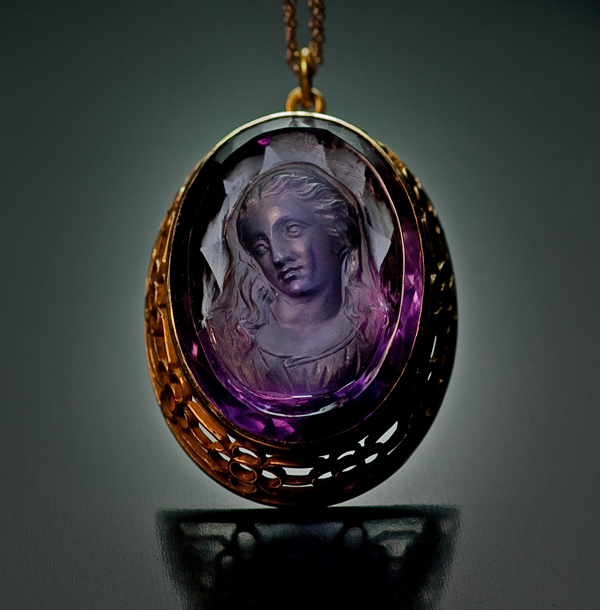 The ancient Egyptians believed that this stone would guard against negative and damaging emotions. In Hebrew, it is called ahlamah, from the word halam, meaning “to dream.” They believed that pleasant dreams would arise should the jewel be kept near the bed (and there is something to this.). Throughout various cultures and beliefs, this beguiling gem has possessed many positive connotations and effects. But how can it be incorporated along feng shui guidelines? 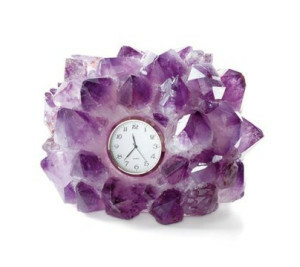 Amethyst is of the quartz family, and quartz has been scientifically proven to be a conduit for great energy, hence why it is used in clocks, televisions, and computers. Amethyst, however, is used primary as a gemstone or decorative object, and has its own beneficial energies that can enhance a space. Honoring Love and Devotion. 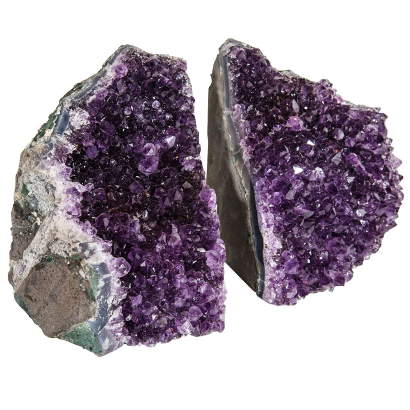 In Catholicism, this mineral was said to be the stone of St. Valentine, as he wore a ring made from amethyst when secretly marrying couples. When placed in the southwest area of a room (the area of Romance), these items can help to strengthen relationships past carnal desires. 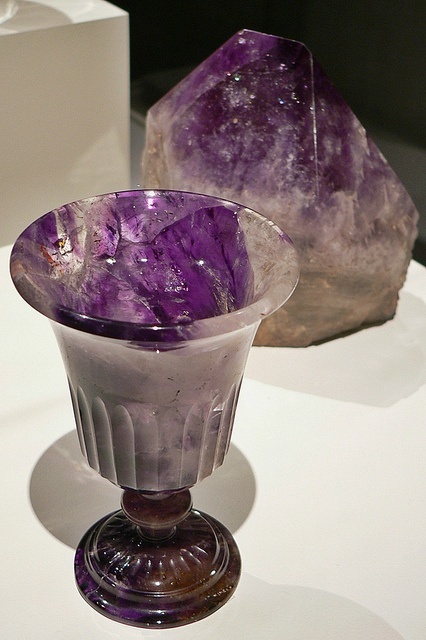 A pair of these gemstones in a small vessel would be ideal. The jewel’s demure, lavender shade is also favorable here. Many engagement rings use amethyst in the setting because of its romantic connections and color. A Calming Influence. 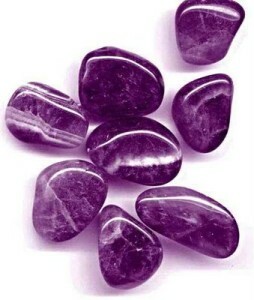 The amethyst is one of the best jewels for quelling negative emotions and disagreements in an environment. Having a geode of this gem can help to dissipate negative chi (called Sha) from a space, and attract more serenity. It is said to also be good for those suffering from Obsessive/Compulsive Disorder and ADHD, by way of aiding in the travel of neural signals through the brain. Mr. Sandman. For those suffering from insomnia, bad dreams, or other sleep issues, having some amethyst near a bed can aid in calming the busy mind into restful slumber. Place a few gemstones on your nightstand and see if there is a change in the atmosphere. Or, better yet, get a nightlight with real amethyst in the shade and place it somewhere in view of the bed. Spiritual Enlightenment. The amethyst is one of the best gemstones to use for meditation and spiritual guidance. In Catholicism, the Bishop’s Ring usually has an oval amethyst in the setting. Rosaries will often have a couple of beads made from the stone. According to the Egyptian Book of the Dead, it is indicated that the gem should be carved into heart-shapes for burial, usually in the form of an amulet. Used heavily in Chakra work, its high energy frequencies are known to purify auras. 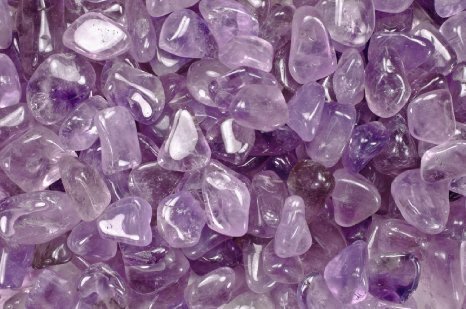 The northeast (the area of Spiritual Growth) and the northwest (the area of Heaven and Helpful People) are the best places for amethyst to assist in these guidelines. Wealth and Prosperity. This jewel was once considered as rare as diamonds, rubies or emeralds. 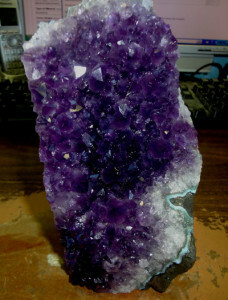 However, amethyst is now one of the most affordable gems to purchase. 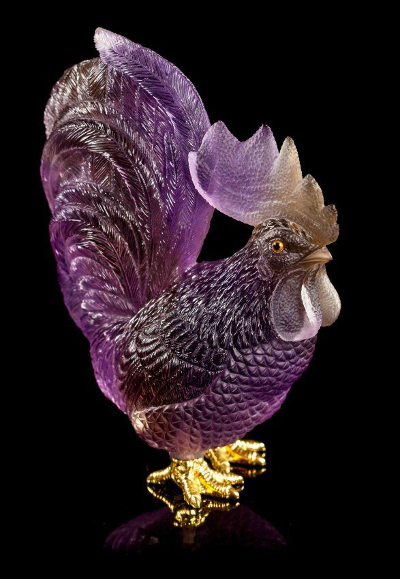 Because of its historical significance, and its illustrious purple colors, placing some in the southeast area (the area of Prosperity), can help in attracting more wealth and abundance to an environment. Upon One’s Person. 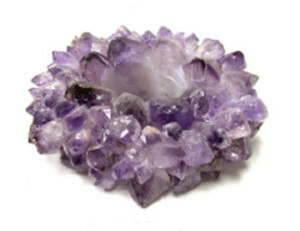 Jewelry is one of the easiest ways to adorn yourself with amethyst. Many retailers online offer a wide selection of these gems at affordable prices. Or, if jewelry is not your thing, consider carrying a small stone in your purse or backpack. 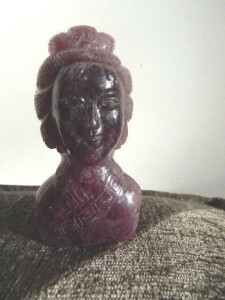 The gentle and reassuring qualities of the amethyst make it an ideal feng shui gift as well, for yourself or for loved ones. Many online retailers and gem distributors carry a wide selection for every budget – in geode forms, polished stones, jewelry or elaborate carvings. Bring the calming vitality of the amethyst into your environment, and feel the positive change in energy. This entry was posted in Bedroom Feng Shui, Color Feng Shui, Feng Shui and Art, Feng Shui DIY, Feng Shui Gift Giving Guide, Gems and Minerals, Texture and Shape and tagged amethyst, Artist's Stone, Bishop's Ring, Book of the Dead, bookends, Catholicism, chakra, clock, creativity, desire, earth, Egypt, engagement, gem, gemstone, geode, goblets, halam, heart-shape, Heaven, Hebrew, helpful people, intoxication, jewel, jewelry, lavender, love, mineral, muse, neural signals, pigment, Poet's Stone, prosperity, purple, Richelle Mead, serenity, spiritual growth, St. Valenite, stone, violet, vitality, wealth, wine. Bookmark the permalink. Very nice and interesting blog, thanks for this post…it’s been great reading this.